Description The Jolly Postman delivers cards and letters to various fairy-tale characters. He has a letter of apology for the three bears from Goldilocks, a postcard from Jack for the giant, a solicitor's letter on behalf of Little Red Riding-Hood for the wolf who ate grandma, and so on. 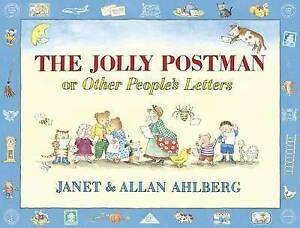 Author Biography Janet and Allan Ahlberg created some of the world's most popular picture books, including EACH PEACH PEAR PLUM and THE JOLLY CHRISTMAS POSTMAN, both winners of the Greenaway Medal, and THE BABY'S CATALOGUE, inspired by their daughter Jessica. Janet died in 1994 and Allan, a former teacher, now lives in London. plenty of things to read. Book was in tip top condition. Niece very pleased with her birthday gift. Read this with my kids and we love reading it with all the fun of opening the letters/cards,etc. 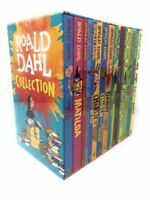 It’s lovely to be able to read a book with my kids which I read in my childhood and have fond memories of reading. Granddaughter has the Christmas book in this series so bought this to compliment. Loves the story.